CRM … Changing the Role of “Sales Manager” – Resolv Inc.
Just like the mechanic who twitches when he sees someone using an adjustable wrench as a hammer, I twitch when I see a company that has an incredible tool, like CRM, and uses it like a hammer. CRM isn’t designed for tracking every incident of every sales person’s day. Eighty percent of the conversations sales people have are probably not worthy of noting (except to may say they reached out to the customer and have nothing to report). If you are into micro-managing your sales team, CRM is not the tool for you. CRM is meant to be a tool to track key conversations and key information about your customers, not your sales team. So, if not the “hammer” how can mangers use CRM? If, while in the course of their interactions with clients, your sales team updates CRM, adding notes when appropriate, updating opportunities when necessary and creating quotes as needed, a manager will have a clear understanding of sales, without the need of further information like sales call reports. 1) Sales Process Stages: Used properly, the stages in sales process in most CRM systems can help a manager to see the big picture. The sales pipeline should be clearly evident, and knowing how many leads are in each stage of the process can easily help the manager to know where each sales person needs special, individualized coaching and instruction. For example, a manager doesn’t need a list of every cold-call made during a week to know if a sales person is effectively making cold calls, all they have to do is look at the top of the funnel. In fact, just because a sales person can show you they have made 100 cold calls, does not mean they are effectively making cold calls; it simply means they are efficient at making cold calls. Ultimately, does it matter how many calls are made? 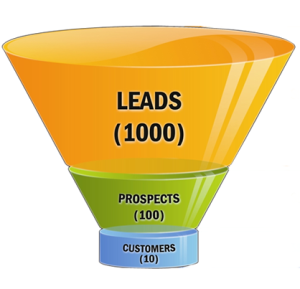 No, what matters is how many leads have been added to the top of the funnel. Sales processes help to measure the outcomes, not the actions. 2) Sales Process Steps: The steps in a sales process are not designed for management to track every action, steps should be major mile-stones. Checking off the steps helps a manager to know a couple of things: a) where each sales person has difficulties moving to the next step (a great coaching opportunity) and b) where most leads drop out of the process (a chance to improve the process). A manager does not need to look at individual steps to effectively coach a sales person, what they need is the average time in a step to best help each sales person achieve their maximum potential. 3) Key Performance Indicators: A manager doesn’t need to look at a salesperson’s calendar or sales call report to know if the salesperson is performing. Key performance indicators provided by most CRM systems will provide the necessary insight. Besides the “old standard” of closed sales, other key performance indicators such as qualified prospects, open opportunities, and quote conversion ratio provide sales management with all the tools they need to successfully judge performance. CRM is an amazing tool to track key conversations and key information about your customers! Because of this tool, managers have an insight into sales that they have never had before. The best way to utilize this insight is through coaching for sales success. Managers can now clearly see where each member of their team struggles, and can coach them through conquering the obstacles that impede peak performance.